These classes are now being hosted by the Brisbane Crochet Club. 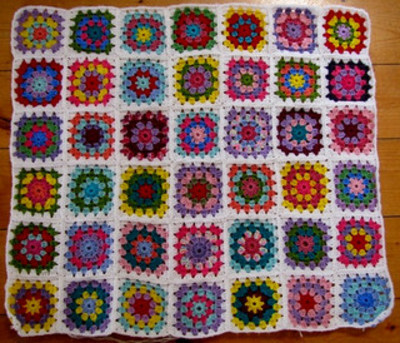 Head over there to book and checkout our great Brisbane Crochet Facebook Group. 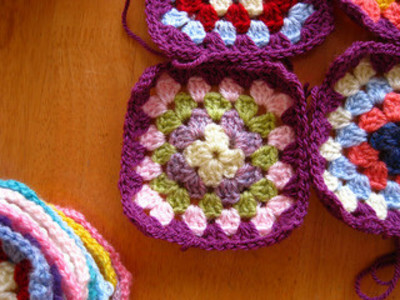 Start on your very own granny square in this Crochet for Beginners class. Crochet is a simple and versatile craft, easy to pick up and easy to adapt in order to create anything your heart could desire. Learn the basics of this craft with Classie. 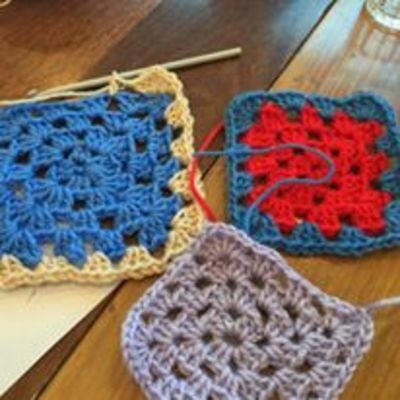 This class is designed for those who have had little to no experience with a crochet hook. You will learn basic stitches, such as double and treble crochets, chain stitches, slip stitches, their abbreviations, and how to crochet in the round. 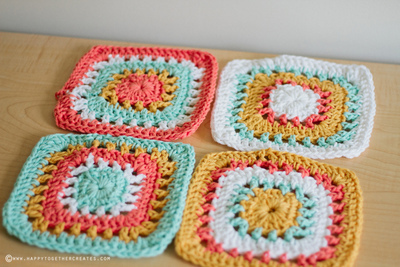 By the end of the class, you will have mastered these basic stitches and get started on your very own granny square. Suitable for everyone over 12yrs. Children under 16yrs must be accompanied by an adult. Rhonda was very patient and a gorgeous lady. 5 stars all round. Loved the whole class from the 2 teachers both young and older with different styles of teaching, both were tremendously patient with us newies, preparation was brilliant, organisation 5 stars, friendliness 5 stars, so happy I attended and manage to make it through the class crochet for beginners. I would be happy to attend another of the beginners classes with the same teachers as this was both their first Classie Classes. I learn through repetition and good hands on teachers like these ladies. I really enjoyed it. While i wouldn't say my crochet has improved i can at least do a trible stich which I'm very proud. The morning was fast passed but very enjoyable. The teacher was patient and explained things repeatedly when we required the classification. Debbie was a great host and ecxellent instructor. This was a great workshop! I walked away with the knowledge to make a granny square and start a new project. Debbie was a great teacher, very clear in instructions and patient. I really enjoyed it. Debbie was a great teacher. It was a fun event, even if I wasn't always 'getting it' - Debbie has a ton on knowledge that she's more than willing to share. I loved it. I learnt something really great, that I'll definitely continue with. I thought the included coffee was a really nice touch, and the relaxed atmosphere of the cafe was really cool too. Debbie was a great instructor, very approachable and helpful in offering follow-up assistance. Debbie was great. I loves the bag if goodies and example, its a great idea. The instruction sheet was good. Had a wonderful time. Debbie was great and very helpful. Live it. Thank you. I had a lovely morning, spent with lovely people. Deb was a great teacher and had time to spend with each of us when we asked for help. I really feel like I learnt the basics of crochet. Thankyou. I loved the class. It was exactly what I was looking for and Debbie was skilled and patient with us. Very nice presentation and organization of the event (esp compared to the knitting one the other week). Really appreciated the example squares to keep and the little gifts! Very nice touch! Lots of patience and went through the steps with each person. Event was great as Debbie was very patient and made me feel I was able to crochet b y being very understanding and spending valuable time with me so as I was able to pick up basic techniques. I received lots of encouragement something I needed. I enjoyed the Crochet for Beginners class with Debbie last week who was very patient with us all and had a wealth of knowledge. I would love to see an intermediate crochet class be added to your list of workshops. This class was fantastic and I recommend going! Debbie explains everything so you understand and helps you along the way! Really enjoyed learning the basic stitches and get on the way to creating my granny square. A lot more technical than anticipated but now can't wait to build up on the skills I learned! Loved the goodie bag with granny squares and hook. Our instructor was very good and clearly explained the various stitches and showed us how to do them until we understood what we had to do. Even though we had people moving at different speeds, Debbie made time for each person.